"SHINBRIER" ALMOST HEAVEN by "dizzy" harris. 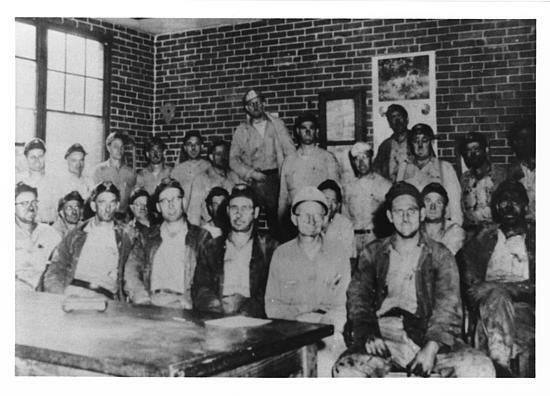 David has written this story which covers the March 26, 1912 and the January 15, 1946 COAL MINE DISASTERS at HAVACO, McDOWELL COUNTY, WEST VIRGINIA. David has provided a LIST OF VICTIMS for each disaster and a photo of the HAVACO COAL TIPPLE as it appeared in the 1950's. David's title, "Thunder in the Mountains", is well chosen for when a coal mine BLOWS in these APPALACHIAN MOUNTAINS it is truly " THUNDER IN THE MOUNTAINS". This is a terrific collection of photos from the LIBRARY OF CONGRESS. They are a part of the AMERICAN MEMORY COLLECTION covering the years 1935 to 1945. 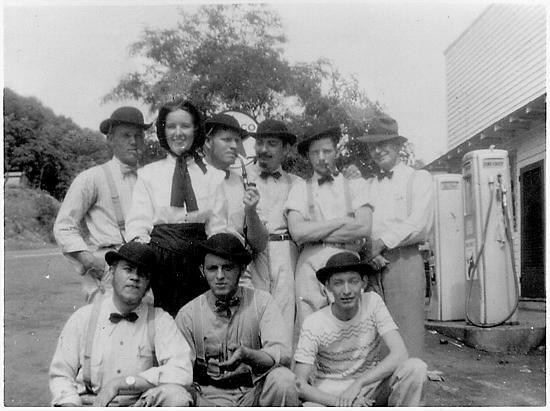 Most McDowell County photos are from the late 1930's. Unfortunately, most photo subjects are either poorly identified or unidentified. COAL MINING and the lives of COAL MINERS are the primary subject. Thank GOD for the struggle these COAL MINING FOREFATHERS of ours waged that their descendants would not have to endure the hardships they suffered. To the young men and women of today I say honor and appreciate your FOREFATHERS for the much improved world their sacrifices gave you. LIVE YOUR LIVES IN A POSITIVE MANNER......YOU ARE SO LUCKY, DON'T BLOW IT! On Nov. 4, 1905 the Tidewater Coal & Coke Company's Tidewater Mine at Vivian, McDowell County, W. VA. suffered a powder and gas explosion that claimed seven lives. Only four months previous, July 5th, this mine had suffered a similar explosion resulting in five fatalities. 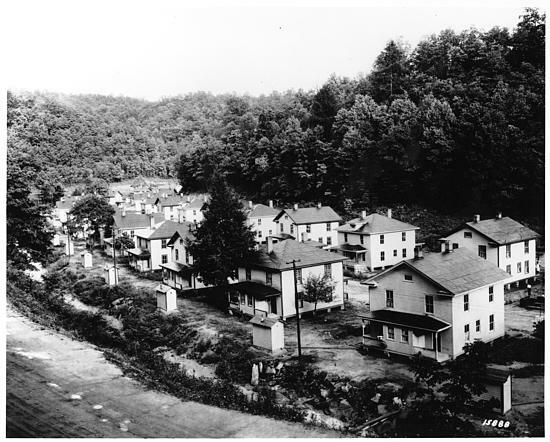 In the morning of September 15, 1902 an explosion struck the Algoma Coal and Coke Number 7 Mine at Algoma, McDowell County, West Virginia. This resulted in the loss of seventeen lives. Cause of the explosion was an accumulation of methane gas over the weekend. The part of the mine where the explosion occurred was about a mile and a quarter from the drift mouth. The mine dips here to safely pass under Buzzard Creek. The gases accumulated in the area of this dip. All but one were newcomers to the area and their bodies were shipped back to their homes in Virginia and North Carolina. 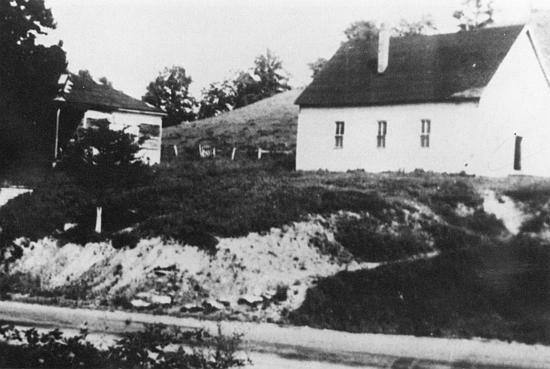 John Roxie was taken to Pocahontas, Virginia for burial. North Fork, W. Va., Sept. 15. 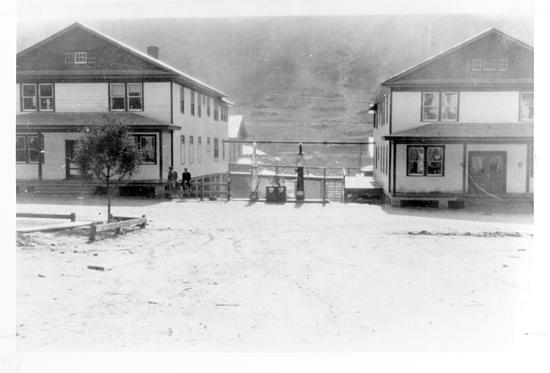 -- A gas and powder explosion occurred in the Big Four mine of the Algoma Coal and Coke company here this morning about 8 o'clock, as the result of which JAMES LESTER, and engineer, JOHN RECCKLE, a Hungarian miner, and 15 colored miners are known to be imprisoned in the mine. There is hardly one chance for the men to be recovered alive. The gas and smoke is so thick that all rescuing parties have been driven back. H. F. FRANKENFELD, a mine boss, and GEO. GASPIE, a Hungarian miner, succeeded in crawling over fallen coal and slate after the explosion to the lights of the rescuing party and were taken out alive although burned and nearly suffocated by the gas and smoke inhaled. The explosion is said to have been caused by an accumulation of gas catching on fire from the lamp of a miner who was going to work, and this in turn fired six kegs of blasting powder that had been stored back of the mine. The explosion knocked down all of the brattices for a mile back toward the mine entrance, thus cutting out all of the air from the men imprisoned behind the debris. 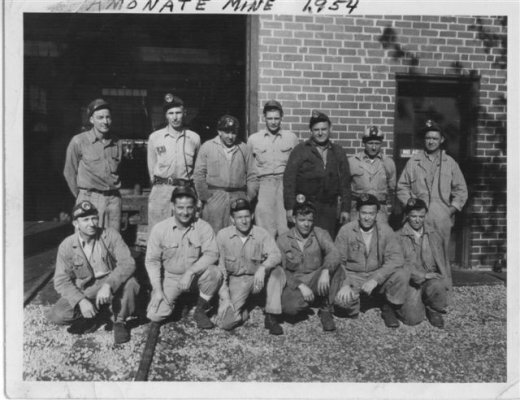 There had been a small gas escape in the mine Sunday last and Mine Superintendent A. J. STUART had personally cautioned the men who worked in the mine not to attempt to work again until the air had been tested by a safety lamp. It is now learned that the coal is burning and there is no hope of extinguishing the flames until a new air passage can be built to the point of the explosion. There is a large force of men at work and will make a second attempt to reach the imprisoned men this evening. The last one of the seventeen miners killed by the explosion of the Algoma mine this morning was brought out of the mine at 11 o'clock to-night. Bluefields, W. Va., Sept. 15. -- A heavy explosion of gas occurred in the Algoma coal mines on the North Fork branch at 11 o'clock this morning. Fifteen men are reported dead. Bluefields, W. Va., Sept. 15. -- 11:30 p.m. -- A telephone message just received from Algoma says eleven bodies have been recovered from the mines and that six more bodies are to be taken out. So far all but one of those recovered are colored miners. DISASTER AT ARISTA W. VA. The Arista Mine opened in 1914 and was originally known as the S. J. Pattterson Pocahontas Coal Company. Ownership changed January 1, 1923 and mine became the Weyanoke Coal & Coke Company. Mine was located at the headwaters of Widemouth Creek in Mercer County. SEVENTY-FIVE MEN AT WORK WHEN CHANNELS ARE ROCKED BY BLAST; ONLY 38 ENTOMBED AND 27 SLIGHTLY INJURED; FIVE STILL IN MINE. Bluefield, W. Va., March 2. -- The bodies of six miners had been recovered late tonight from the mine of the Weyanoke Coal and Coke company at Arista, Mercer county, which early today was shaken by a heavy explosion. Hope for rescuing alive five other miners, of the 38 entombed by the blast, was abandoned when rescue workers said they were unable to reach the section of the mine where the men were at work when the explosion occurred. After-damp, which flooded the mine following the explosion, probably would prove fatal to the five still entombed, mine officials said. Seventy-five men were at work in the mine when its channels were rocked by the blast, 3200 feet from the main openings. However, many of them were in other sections and were not caught by the crumbling of the walls. Of the 38 entombed, 27 only slightly injured were rescued. The force of the explosion tore through to the surface, scattering timbers and huge boulders for a distance of several hundred feet. Tongues of flame shot through these openings. An overcharge of dynamite, used in blasting, probably was the cause of the disaster, W. A. CRAVEN, superintendent of the mine, said tonight. 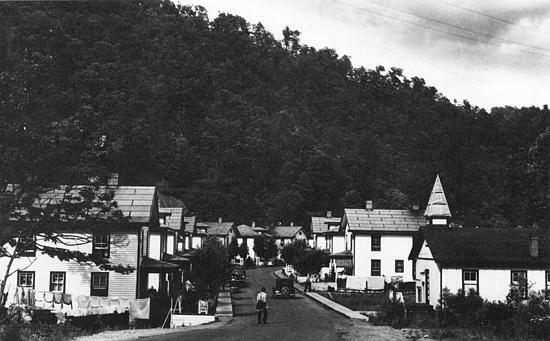 Arista, the scene of the explosion, is a small mining town in Mercer county, in the extreme southern section of West Virginia, and is practically isolated by the surrounding mountainous country. Bluefield, W. Va., March 3. -- Ten men dead is the toll of the explosion in the mine of the Weyanoke Coal and Coke Company at Arista near here. Four more bodies were recovered this morning and six were taken out last night. LLOYD LISCOMB, a miner, was taken out this morning more dead than alive. He was given first aid treatment, but was in such a condition he could not give any details of the disaster. With the recovery of the ten dead and one living miners all the employes of the mine were accounted for today. LISCOMB was entombed behind a fall of slate, rock and coal for fifteen hours. Thirty-eight miners were trapped in the mine when the explosion occurred but twenty-seven were at distant points in the workings and escaped the full effects of the blast and saved their lives. They hurriedly made their way to an exit before gas and black damp over took them. Five bodies were in one heap, where the miners apparently had gathered together to await their end after finding escape cut off. On Dec. 27, 1957 a gas explosion occurred at the Pocahontas Fuel Company # 31 Mine located in McDowell County, West Virginia. Bishop is located in McDowell County and borders Tazewell County, Virginia. Bishop, West Virginia and Bishop, Virginia are separated by the state border and the Bishop mining complex had entries from each side. On February 4, 1957 a gas explosion rocked the Bishop, West Virginia mine, owned by the Pocahontas Fuel Company, and resulted in the loss of thirty-seven lives. On October 27, 1958 this same mine suffered another gas explosion with the loss of twenty-two lives. These Bishop photos are brought to you courtesy the Library of Virginia and are part of the Tazewell County, VA Collection. Bishop was once known as SHRADERS. 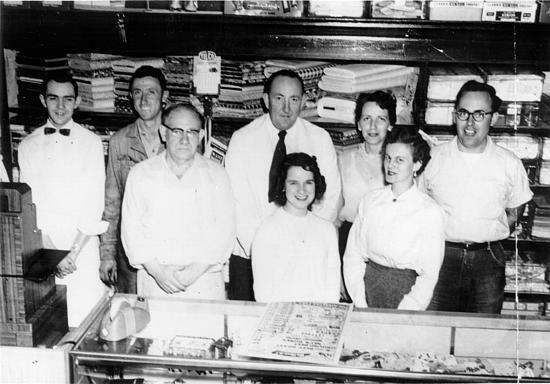 In photo above the first man from the right, second row, is Bob Little. Can you help identify the others? 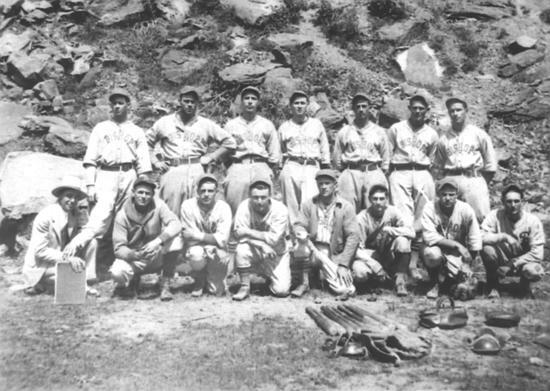 Perhaps some of these men perished in the 1957 explosion. Photo was provided by Todd Little, grandson of Bob Little. 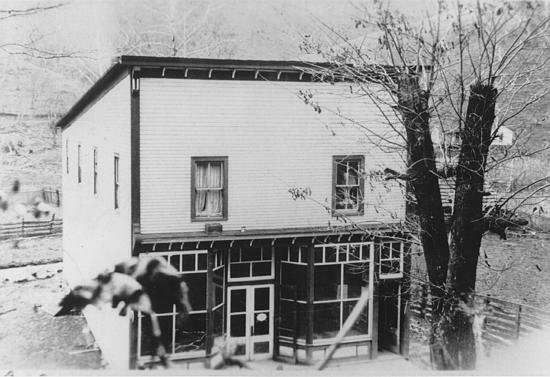 RISE AND FALL OF COAL IN McDOWELL COUNTY, WV W. VA. COAL DISASTERS ~ LUCY CHURCH ﻿Lucy "Beckner" Church has provided this listing of West Virginia Coal Mine Disasters. You may ask, "what is so special about another listing of West Virginia Coal Mine Disasters?" Well, this one is special. You not only see it, you feel it! Click, look and listen, I know you will agree. Lucy is married to a retired coal miner. His name is Raymond Church. Lucy is a McDowell County gal. They make their home in IAEGER, McDowell County. Lucy has a VICTIMS LIST for many of the listed disasters and will do a look-up if requested. Copyright 2013 My Business. All rights reserved.